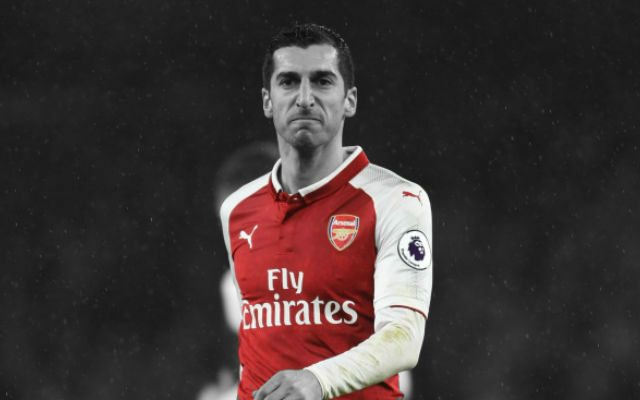 Henrikh Mkhitaryan could be banned from playing against one of Arsenal’s Europa League group stage opponents after the draw was made today (via Arsenal.com). It’s a competition which the Gunners came close to winning last season. Now, the Gunners have learned who they will be facing in the group stages of the tournament after being drawn against Sporting Clube de Portugal, Qarabag FK and FC Vorskla Poltava. Portuguese side Sporting CP have been marred by off-the-pitch turmoil in recent months but have since reorganised and will be stiff competition. Also in the group are the Ukranian side FC Vorskla Poltava and Qarabag FK, a fixture which has already been marred in controversy. Reports suggest that Arsenal’s Henrikh Mkhitaryan could be unable to play the away fixture as Armenian people are currently banned from entering Azerbaijan. UEFA: "It is a standard procedure for UEFA to send letters of support to associations, clubs or embassies in order to obtain visa for players in order to be able to travel to another country and play in UEFA competition matches." Mkhitaryan has a history with this matter and was left out of Borussia Dortmund’s squad to play against the Azerbaijani side, Gabala back in 2015. It’s a strange situation and hopefully, one which will be resolved fairly quickly. It’s obviously going to cause UEFA, Qarabag FK and Azerbaijan considerable embarrassment which could lead to a quick resolution. However, it is baffling to think that this law exists in the country. Aside from that, it’s a good draw for Arsenal.